Only Black and Silver/Stainless Steel in stock - Other colours coming soon. The Innokin iTaste MVP 2.0 is a 510/Ego threaded device with a built-in 2600mAh battery. This box mod is loaded with features such as VV, VW, passthrough function, LCD screen, ohm meter and can even be used as an on-the-go charger for your portable devices. The iTaste MVP V2.0 Variable Voltage/Wattage Box Mod from Innokin. The most popular BOX MOD on the market today just got even better! All new version 2 with variable wattage and coil ohm checker! 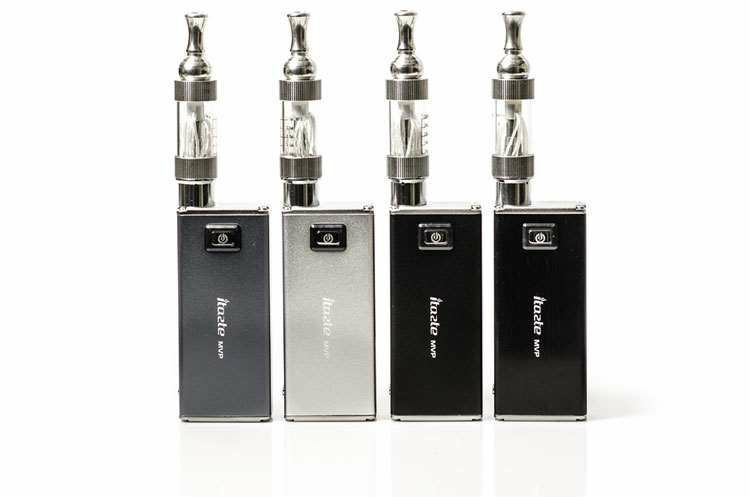 The Innokin iTaste MVP V2.0 is a solid Aluminum constructed device. The MVP v2.0 has a built in 2600mah Polymer Li-Ion battery for a impressively long usage time between charges. The Variable Voltage of the MVP is adjustable from 3.3 to 5.0 volts in .1 volt increments. Wattage is selectable from 6 watts to 11 watts in .5 watt increments. The iTaste has a built in usb output for charging many USB items such as your mobile phone or even another electronic cigarette using the power of the MVP2's internal battery. The iTaste MVP V2.0 is easily charged via a Micro USB Cable (Supplied) which is a common cable used by most phones including iPhones and Samsungs. Built in battery charge status display, puff counter, and safety 3 click on/off features are standard on the Innokin iTaste MVP v2.0. The iTaste MVP V2 features a standard eGo / 510 thread connection for use of the most popular 510 or eGo threaded atomizers, clearomizers or cartomizers. Warning - Not to be used with sub ohm atomiser. Please note: Our kits do not include eliquid. Eliquid must be purchased separately in order to use this device.